[toc]Angina Pain is the pain or discomfort experienced by a person, when the heart muscles receive inadequate oxygen supply. Angina Pain is also popularly referred to as Chest pain. This is a type of Coronary Heart disease and is often described by people as heaviness, squeezing, burning in the chest, accompanied by mild to severe pain. Women having Angina attack, often experience pain back, neck, jaw, throat etc. Some of the main reasons for Angina pain are high blood pressure, diabetes, poor blood circulation, high cholesterol levels, stress, indigestion etc. Angina Pain usually lasts for a few seconds to few minutes and usually subsides upon rest followed by angina medication. If the pain recurs and doesn’t subside, then immediate medical attention must be sought, as it may be a sign of heart attack. 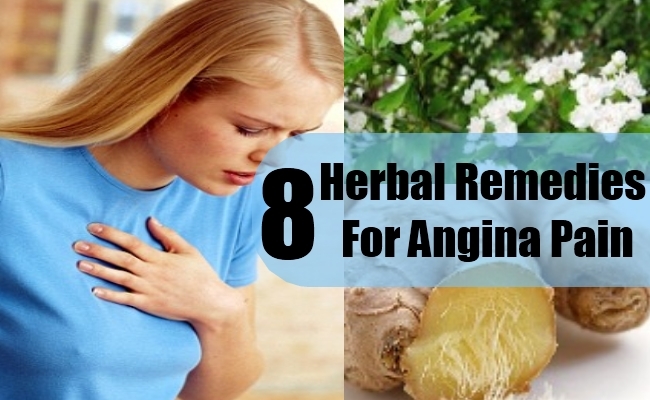 There are many herbs which are very effective to ward off and prevent Angina Pain. Some of those herbs are discussed below. Turmeric is a very popular spice which has been found to be very effective for the heart and prevents various heart related problems like Angina Pain. Curcumin is one of the main compounds found in Turmeric, which help in inhibiting the formation of plaque in the arteries of the blood and reducing the cholesterol deposits in the arteries. 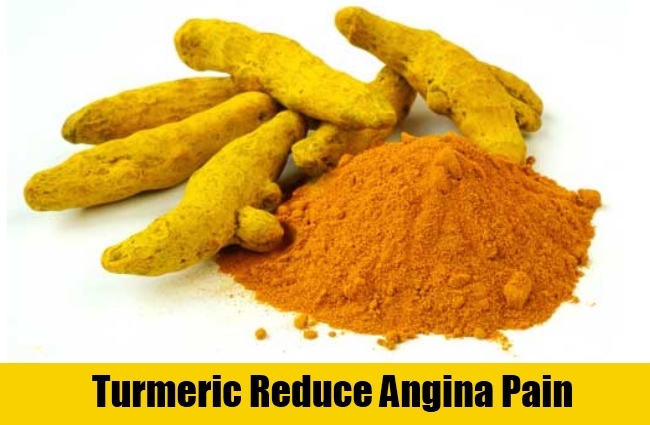 These properties of Turmeric help in eliminating the two main reasons responsible for Angina Pain due to inadequate oxygen supply to the heart muscles. Turmeric can be included in daily diet for preventing the instances of Angina Pain, by addition to the food. This not only increases the flavor of the food, but also provides a good sunny color to the food. Turmeric added to a glass of milk with honey, is not only tasty and full of antiseptic properties, but also a way to ward off Angina Pain. Hawthorn also commonly called by the name Mayflower or Mayblossom, is a one of the most popular naturally found cardiac tonic known to man. Hawthorn is very helpful in enhancing the functions of the heart, thereby helping in diluting the concentration of waste products produced due to exertion and preventing Angina Pain. This herbal remedy is also very effective in dilating the vessels of the heart, increasing the flow of blood and oxygen to the heart muscles, thereby preventing Angina Pain. Hawthorn berries are very safe herbal treatment for stimulating better functioning of the heart and increasing its metabolism rate of energy. The berries of Hawthorn can be consumed raw or frozen. It can also be made in to preserves, juices etc. 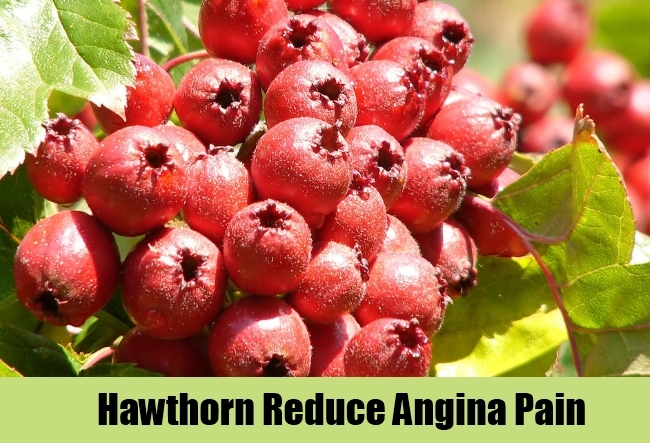 Hawthorn is especially very effective when used in combination with another herb Motherwort, to increase the longevity of the heart and strengthen it, thus preventing Angina Pain. 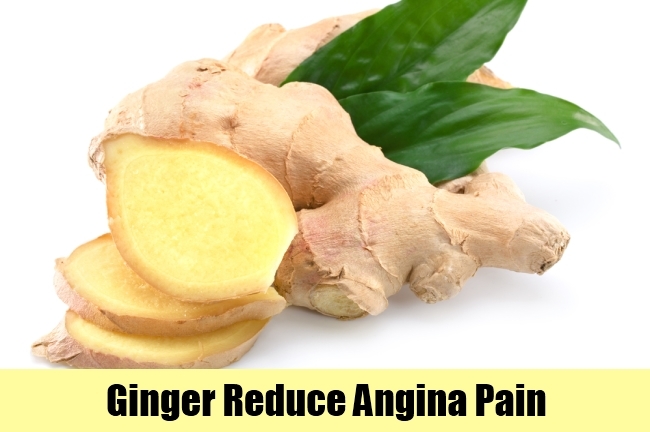 Ginger is another very effectively used herbal remedy for preventing Angina Pain. Ginger contains chemical components known as gingerols, which help in lowering the cholesterol levels in the blood and prevents the occurrence of Angina Pain attacks. Ginger is also a naturally found blood thinner and helps in increasing the circulation of blood to the heart, thereby providing adequate oxygen supply and preventing Angina Pain. Ginger is also very effective in preventing chest pains associated with Angina attack and aids digestion. Ginger herbal tea is especially very healthy and beneficial for the heart and those attacks of Angina Pain. Epimedium is a very popular herb used in Chinese medicine to strengthen the heart muscles and prevent Angina Pain. Epimedium stimulates the circulation of blood in the body, especially the coronal vein and thus, helping to cure Angina Pain. Epimedium is also very effective in fighting against the viral infections affecting the heart and reduces the instances of heart failure. 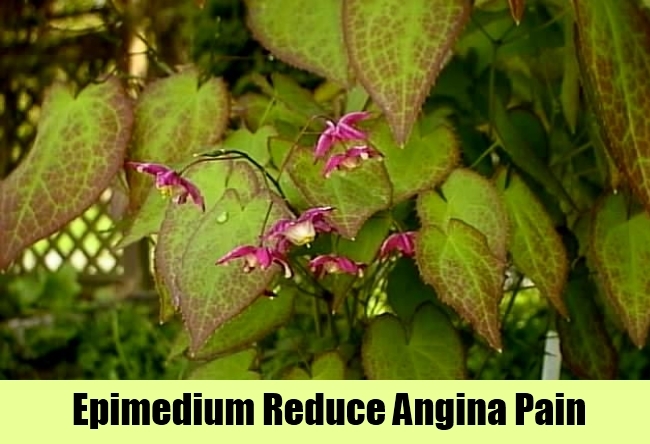 The extract of Epimedium leaves is very effective in curing Angina Pain and is available in form of tincture, capsules etc. It can also be brewed into herbal tea and consumed for increasing heart muscle tone and prevent Angina Pain. Garlic has been used popularly as a favorite cardiac tonic by people all over the world since ancient times. Garlic contains a high amount of sulfur and allicin, which help in thinning the blood naturally and prevent clots, thereby increasing circulation and preventing the diseases arising due to it like Angina Pain, hemorrhoids etc. Garlic is also very effective in boosting the overall immunity of the body and provides warmth. Garlic has a highly pungent smell and hence, people who want to avoid chewing it raw, can consume it in form of capsules. 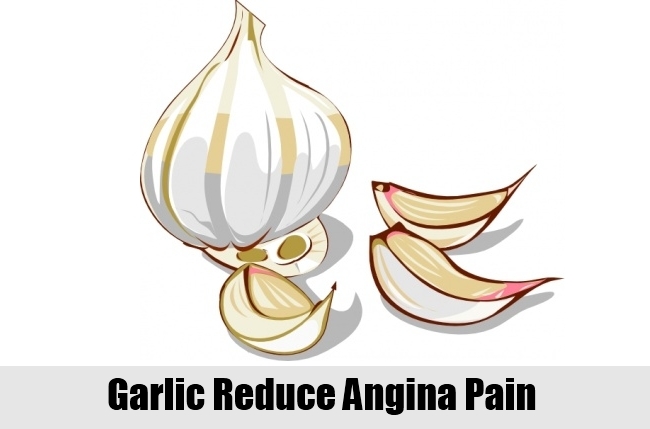 It can also be added to cooked food to enhance in flavor and prevent the attack of Angina Pain. The root of Kudzu has medicinal properties which are very effective in fighting heart related problems, especially those caused due to excess stress. This herb is very effective in increasing the circulation of blood in the heart, thereby providing it with enough oxygen and preventing Angina Pain attacks. 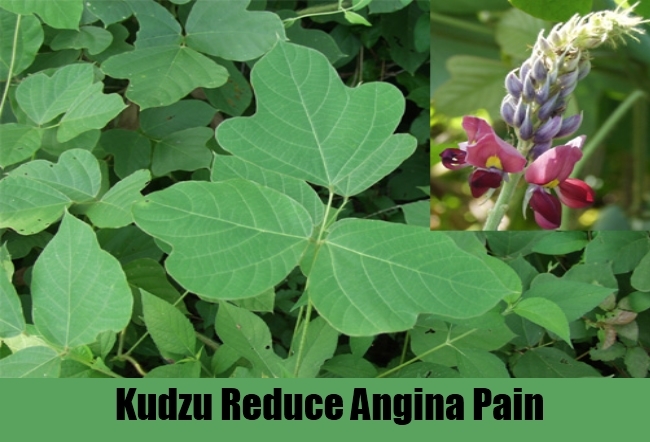 Kudzu is also effective in reducing the cholesterol levels and resistance to insulin, thereby helping to reduce chest pain caused due to Angina. The root powder of Kudzu can be added to tea and consumed for maximum benefit. It is also available in form of extract and capsules. Motherwort has been proclaimed a highly useful herb by both the Chinese and the modern medicine. This herb is very effective in cases of heart problems arising due to slow pulse rate and palpitations. 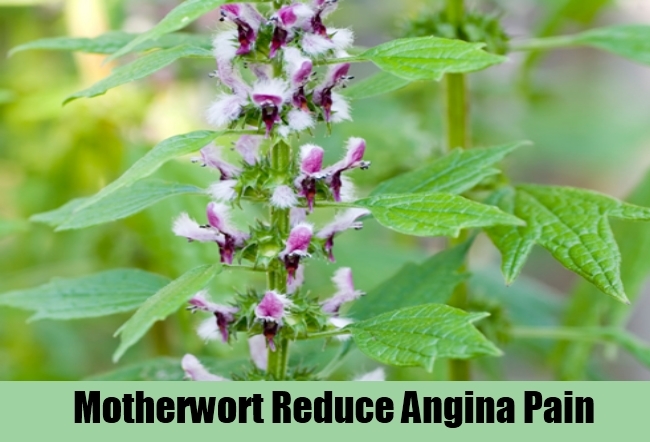 Motherwort helps in decreasing the blood pressure, cholesterol levels and stress in the body, which may cause Angina Pain. This herb is beneficial in preventing attacks of Angina Pain, by enhancing the supply of blood to the heart via increased blood circulation. Motherwort extract is extremely beneficial for the heart when taken in form of herbal tea. It is also available in form of capsules, tonics etc. 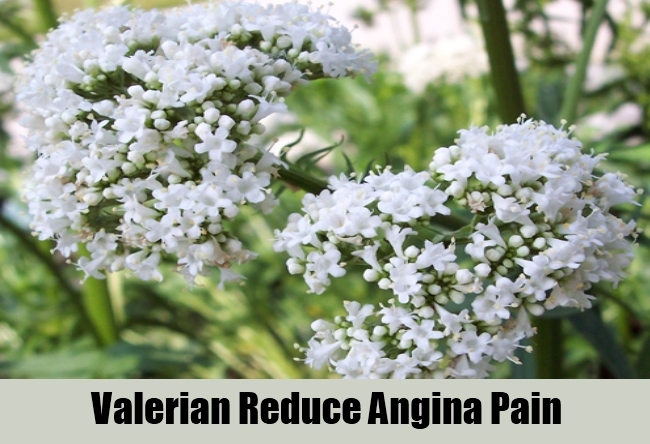 Valerian is an extremely effective herb in preventing attacks of Angina Pain occurring due to stressful situations. Valerian roots contain compounds which help in reducing the stress and anxiety in the body, thus reducing the intensity of palpitations and chest pain arising from it.